If you’re a restaurant owner you’re probably always on the lookout for new strategies that improve marketing for restaurants. There are a lot of conventional marketing methods but if you’re looking for something fresh and unique it’s hard to compete with the opportunities that text marketing presents. Here’s how text marketing works and how it can help your restaurant. What’s so great about text marketing for restaurants? Think of text marketing like sending a text message to your friend, only you’re sending it to people that have ’opted-in’ or asked to be on your list. Customers prefer it because it is easy. Most people have a cell phone, and they keep it with them throughout the day, checking it often. Most cell phone owners use text messages and will see what you’ve sent within minutes. Statistics show that text messages have an open rate of 98%. Restaurants also like SMS marketing — for the very same reasons. It provides the chance to get more personal with your customers and give them something they really want. Plus, it can help drive reservations and foot traffic on slow days or at crucial times. With the right offers a restaurant owner can consistently grow a responsive list of subscribers and all of those amazing offers can convert to paying customers who increase your revenue. Coupons and exclusive offers: Send them coupons via text message marketing to entice people to visit your establishment during a slow time, to make a reservation with you for an upcoming holiday or to visit you before the lunch rush. By providing a coupon that’s valuable and timely you can help influence the decisions your customers are making when they’re hungry or planning a big night out. Run contests: Giving a customer a chance to win a prize can keep them interested in your list and your restaurant. Whether it’s a contest for a restaurant gift card or some branded swag, you could create interest in your establishment and show them how valuable being on your text list is through running an exciting contest. Provide helpful notifications: Giving consumers a head’s up on the weekly or daily specials being offered is also a good way to use text marketing. Survey customers about their favorite weekly special and send them text alerts each week to remind them to come in. You can also focus on being ultra helpful. Prevent diner frustration in the event that your restaurant’s hours or menu changes by sending a text. Clients will appreciate the attention to customer service, and you’ll have the chance to encourage a visit to see what’s new on the menu. Create a loyalty rewards program: Keep track of how often your customers visit your store and reward repeat customers with an in-store mobile coupon. Send a weekly MMS of an upcoming “weekend special” featuring an image of a menu item that can be pre-ordered via text. Send subscribers a daily MMS with a lunch special available only to the first 30 customers dining at the restaurant. Send reservation reminders via text: Encourage diners with reservations to add a few friends to the list for a special discount. Create personalized deals: Build customer loyalty by inviting them to celebrate with you at special times, such as for birthdays and holidays, with discounts and exclusive menu items that will make their night memorable. Survey your customers: After customers leave the restaurant, you can send them a quick link to a survey that asks about the food and experience. If these are first-time customers, you can offer incentives that will encourage them to give feedback. For example, you can offer a 10% discount or a free appetizer on their next visit if they complete your survey. Here are a few tips to keep in mind if you decide to use SMS marketing for your restaurant. Think of your text marketing strategy in terms of how much you can give to your customers, not how much you can take from them. You’re going to ask them to do something eventually — you’re going to ask them to pay for a meal at your establishment. But until that point comes, you want to give as much as possible. Gary Vaynerchuk describes this as the “Jab, jab, jab, right hook,” method. Find ways to be helpful and create exclusive offers that people on your text list are genuinely excited about. Your employees are your greatest resource. They can spread the news about your mobile VIP club while interacting with patrons. Try to get your staff to sign up for the text list themselves so they can give feedback on the messaging. Since your front-line staff are probably interacting with patrons more than you are, their input is invaluable. If you don’t promote your text marketing list, it won’t grow. People can’t join if they don’t even know it exists. Keep your diners informed with flyers, table tents, and more. Upon entering your restaurant, every single customer should see promotions for your text list. Don’t wait until the last minute to throw together a text marketing strategy. Decide on your weekly rewards at least 30 days in advance. This gives you time to look at upcoming holidays and special events so you can create offers that take advantage of these moments and so you can get on your customer’s radar well in advance. Measuring how well your marketing is doing is essential to let you know what areas you need to tweak. On the SlickText platform this is really easy to do by creating custom promo codes that are linked to each individual. You can see when they’ve redeemed them so you’ll know which types of texts work best with your customers. If you think text marketing sounds like it has potential as a marketing idea for your restaurant but you’re still on the fence because you’re not sure how you’d go about growing your list, here’s an example of how one of our clients collected 974 subscribers with one opt-in incentive. When we first partnered up with Wing City Grille, we wanted to focus on one thing, and one thing only: list growth. 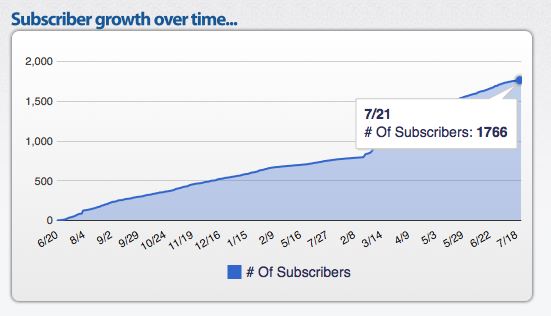 Without qualified and loyal subscribers, SMS marketing won’t work to its full potential. 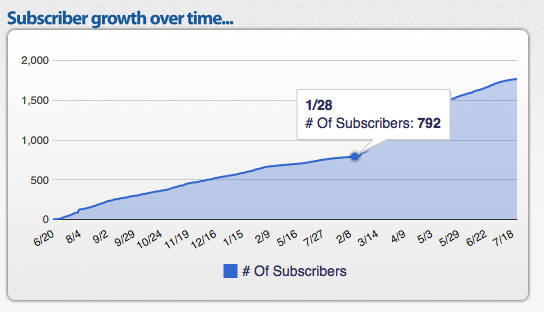 When we started working together, Wing City Grille had organically collected 792 subscribers. This was an awesome start, but we saw a huge opportunity for growth. A couple promotional tweaks and several months later, Wing City made it to 1800 subscribers. To break it down in even simpler terms, Wing City more than doubled their list size in a little over six months. How exactly did they grow their list? We partnered with them to develop a workable and irresistible opt in incentive. Every new text subscriber was rewarded with the same offer – an instant $2 off your next purchase. We then promoted this offer across several different mediums. Wing City houses over a dozen big screen TVs so we created ads to run on their TVs that would promote the text list. We also promoted their text rewards list on social media. Then, in store, we took advantage of table tents and flyers. Is Text Message Marketing Right for Your Restaurant? Mobile is going to become more and more important in the coming years. People are glued to their phones. As a marketer or business owner you’ll need to find more creative ways to reach people on their phones. 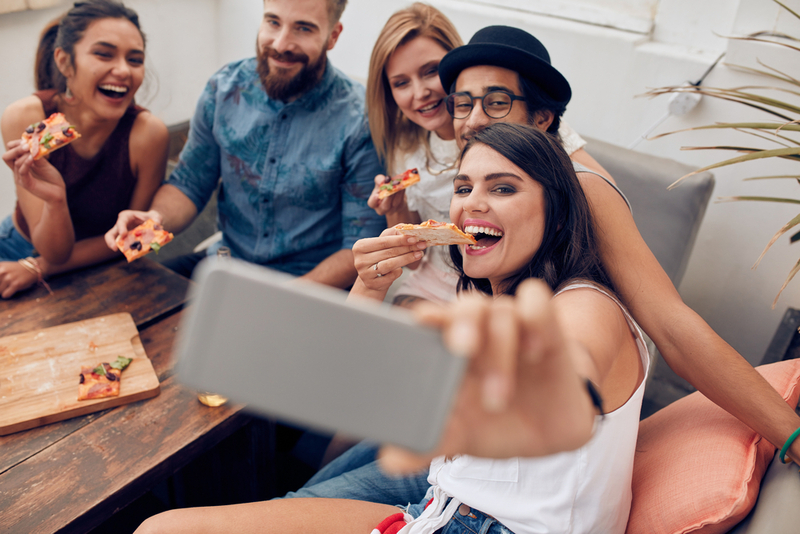 While text marketing might not be your only restaurant marketing strategy, adding it to your mix is an easy and cost-effective way to reach people in the palm of their hands.